The first step in planning a small business web marketing strategy is getting very clear about your business objectives, because they will guide the strategy that goes into your web marketing efforts. If you have set goals for sales, safety, employee retention, quality, market share, new product launches, etc... you need to ask yourself, your team and your web marketing consultants, how your web strategy can help you reach your short and long term goals. To make sure you are clear on your objectives and get you thinking as a web marketing strategist, here are 10 questions to answer before you define your web marketing strategy. At first, this question seems like a no-brainer. For example, a company that manufactures cardboard packaging for products may think they are in the "packaging" business. At a VERY basic level, that is true. That's not how their clients view them though. They are so much more to their clients. To their clients, they are the partner that makes sure their products "pop" off the shelf when they are sitting next to their competitors. They are the partner that ensures their product makes it to it's final destination in one piece by providing the right weight of cardboard. There are many layers to that onion. That's how this question really needs answered. Focus needs to be put on what the client perceives your business to be and what you can do to make your clients more successful. That will really shape how your website and the various components around it are put together. 2 - Who In Your Organization Are You Forgetting To Include? I'm always surprised when we go into a meeting about a new web marketing project with a small-medium sized company and the clients' participants include, their IT guy, maybe a marketing person, and an engineer. Are these all of the people/departments in your organization that can benefit from a solid web marketing strategy? How about sales? How about reception? How about the president of the company? Sales is obvious and should NEVER be overlooked. Reception answers the vast majority of the questions for the company. Could you save him/her time by answering those common questions online? The president or a VP for the company should be involved to keep an eye on the overall vision/objectives and make sure the web marketing efforts are supporting them. Unfortunately, in most cases, their web marketing efforts are a significant investment, yet the team put around it is not well suited to ensure that the return on the investment is as high as possible. Think outside of the normal "players" in your organization. Who's voice would add value? 3 - What Is The Current Buying Criteria And How Can You Shift It? In discussing how our clients' clients make buying decisions, we often get 1 word answers such as 'price', 'availability', 'quality', or 'lead time'. When you dig a little further, you often find that it is really a combination of things. For example, perception of the company may be the first criteria, followed by actual or perceived lead time, followed by quality, followed by price. If you have a fairly clear understanding of what the criteria are, you can look at the list and determine which should be shifted. For example, in a scenario where price is the first and foremost buying criteria (think commodity items, components, etc...), could you place an extra emphasis on educating prospects about quality, service, communication, etc...? Your web marketing strategy can help do this. 4 - What Market Data Is At Your Disposal To Help Sell Your Product Or Service? I'm not talking about product data, I'm talking about market data. Product data includes things like, "sets up in 5 seconds", "last 10 times longer", "is the smallest", etc... Market data are not selling points. They are education points about conditions that make your product or service the best solution for your clients problems. For example, if you manufacture humidifiers, you may want to find data about the health effects of having a lack of moisture in the air in your home. If you sell a smart thermostat, your clients would benefit from data about the diminished quality of life that results from excessive utility costs. The important point here, is that we're not pitching your product, we're building a case for why your product solves a bigger problem. 5- What Are 5 Ways Your Product Or Service Adds Measurable Value For Your Clients? 6 - Who Are Your Biggest Offline and Online Competitors And What Do They Do Better? This question requires honest, unbiased answers. Often, this is the time to take sales and marketing folks out of the room and ask engineers, executives and customer support personnel. They will know better than anyone, where the cracks in the foundation are from a product/service standpoint. Sales and marketing people will tend to sugarcoat the shortcomings. It's also vital to understand that your online competition is often different from your offline competition. You may be competing for different things, such as search engine rankings, but online competitors may not even sell to your clients. At first blush that may sound confusing. Consider though, one of your prospects searching in Google for your product or service offering. In the top 7 search results are blogs, news sites, one actual competitor, a YouTube video, etc... These sites represent competitors that are doing something better than you to rank higher for your keywords/phrases. 7 - Who Is Your Best Buyer And Why? Every business has an ideal client. These ideal buyers are easier to work with, easier to sell, have a reasonable budget, buy more often, etc... They are ideal from just about every sense to your organization. Sometimes it's easier to start with the p.i.t.a. clients and why they are NOT ideal, then look at the opposite for an ideal client. Some things to outline include how many employees they tend to have, how many clients do they have, how many units of your product/service do they need? Now, we need to make sure that your web marketing efforts focus heavily on them. 8 - What Is The Lifetime Value Of Your Best Buyer? This doesn't have to be shared with your marketing consultant(s) but it should give you some perspective as to what it's worth investing to get more ideal buyers on your client list. If you aren't clear on calculating this number, start with a simple list of questions. Remember, these are your BEST BUYERS, so answer the questions for them, not average buyers. What is the initial purchase? How often will they buy (frequency)? How long will the stick with you (lifetime)? How much will they spend each time, after the initial purchase (additional purchase)? What does [initial purchase + ((frequency * lifetime) * additional purchase)] add up to? It's important to remember that the effort needed to get the additional sales is much less than the initial so your ROI per additional transaction is much higher. 9 - Where Are You "Investing" In Marketing Now That May Not Be Paying Off and Why? It blows my mind when we talk to a prospect about their current marketing efforts and they have no idea how they are performing. In some cases, the company has "always" sponsored that event at the industry tradeshow, or "always" been listed in the 8 local phone books, or "always" had a small advertisement in the local paper. When we ask how effective those tactics have been, we often get puzzled responses. That is a waste of marketing resources. If it's not working, even after tweaking/testing, it's time to reduce or eliminate your investment in the tactic. If you don't, you're not being very responsible with your organization's money. 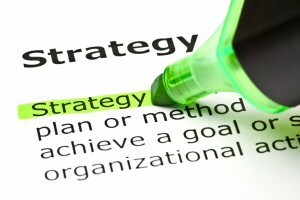 If the tactics aren't working you need to ask yourself, why??? Sometimes there is a clear reason, and other times it's not easy to tell. We have a home building small business client that used to advertise in 6 local phone books by having a small advertisement in the yellow pages of each phone book. The costs continued to increase every year to the point where this home builder had to build a house a year to cover the costs. When we asked if anyone ever contacted them from their ad, they didn't so!?!? Since setting them up with a web marketing strategy, they now receive multiple, very qualified quote requests through website per week! Needless to say, they don't pay the phone books anymore. 10 - What Is Your Detailed Follow Up Process With A New Prospect? When your web marketing strategy is in full swing, you should be getting communication through the various channels of your web marketing campaign. It may be current customers with questions or new prospects looking to see if you offer the solution to their problem. Either way, how do you handle that process now? Who are the internal players? How can that process be improved? Could any of your web marketing efforts improve that process? Could they save time/money being online?